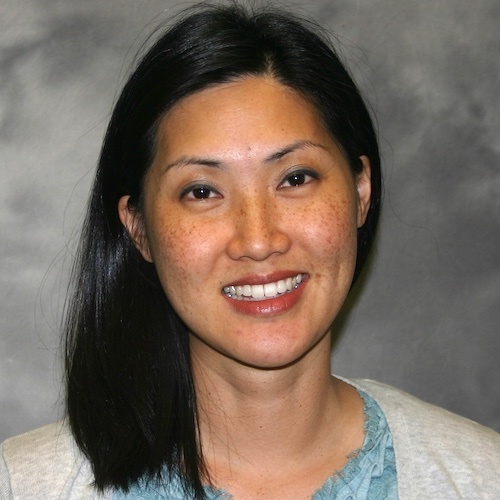 Karen Park is the Academic Coordinator of Fieldwork Education for Pediatrics and the Experiential Learning Lab Instructor for OT503 Practice Immersion: Pediatrics. She earned a bachelor’s degree in Human Development from the University of California, San Diego, her master’s degree in Occupational Therapy and clinical Doctorate of Occupational Therapy degree from the University of Southern California. Dr. Park has extensive experience in pediatric practice in clinic, home and school settings, as well as in sensory integration and oral motor, feeding and swallowing intervention. She holds a faculty appointment at the USC University Center for Excellence in Development Disabilities (USC UCEDD) at Children’s Hospital Los Angeles participating in the interdisciplinary Feeding Development Clinic. She also completed her doctoral residency at the USC UCEDD implementing measures and gathering outcomes for an interdisciplinary program for parents focused on lifestyle and behavior changes for the management of healthy weight within the pediatric population of clients prescribed atypical anti-psychotic medication. Dr. Park is certified in sensory integration and the administration and interpretation of the Sensory Integration and Praxis Tests (SIPT). She holds Advanced Practice Certification in Swallowing Assessment, Evaluation, and Intervention, and is a Certified Lactation Educator. She has lectured locally and nationally on topics around interdisciplinary feeding, healthy weight for children with special healthcare needs and pediatric wellness.